Kyle Hutton talks with C&I about his collaboration with Radney Foster for The Fosters EP. 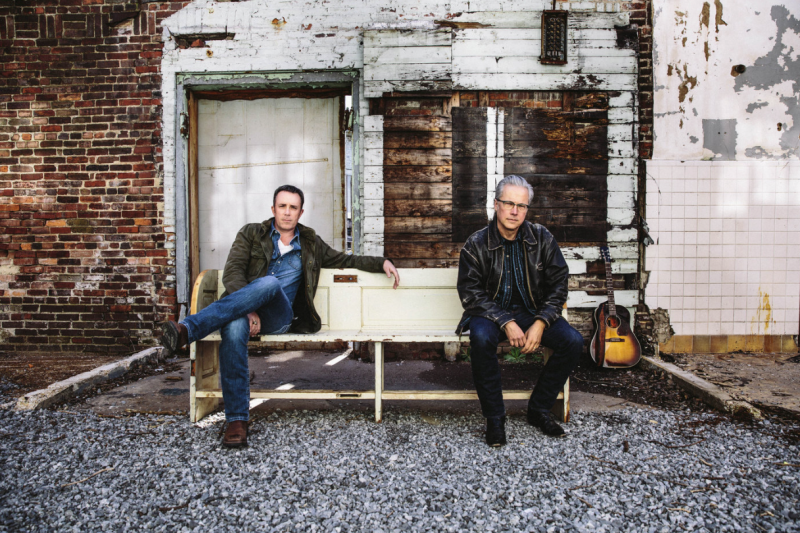 Texas singer-songwriters Kyle Hutton and Radney Foster paired up for the Texas foster care system with their new musical collaboration, The Fosters EP. Both country music artists have a special connection to Texas Foster Care and Adoption Services: Hutton was adopted and Foster has two adopted siblings. The two came together to tell the stories about foster care and the remarkable things that can come from it. Hutton spoke with C&I about the process of writing and producing the album and his personal connection to the music. Cowboys & Indians: All of the proceeds for The Fosters EP go to The Texas foster care system. What gave you the idea? Kyle Hutton: I was adopted when I was 6 weeks old through DePelchin Children’s Center in Houston. Someone gave me a place to stay for those first vital weeks. Two years ago my wife, Tara, and I began to foster. The songs on this project all relate directly to our experiences and emotions while fostering. Radney has two adopted siblings and brings his own slant to the subject as well. C&I: The EP features four original songs. What was the writing and producing process like? Hutton: Radney and I wrote the four original songs during a two-day period in Nashville in late 2016. I truly thought we’d be lucky if we completed two songs during that initial writing trip, but we had all four songs show up in what amounted to about 12 hours of writing. It was an emotional, fast-paced couple of days. In contrast, we took our time recording the project. Radney did a lot of his guitar and vocal work in Nashville while we tracked the majority of the project in Houston. Clayton Corn produced the record and assembled an all-star cast of musicians. C&I: The song “Place to Stay” reflects your chosen cause. Did you write all of the original songs on this album with the Texas foster care system in mind? Hutton: Yes, each of the songs stems from an experience my wife and I have had, or an emotion we’ve felt while fostering. While the content of the songs will resonate across state lines, making it Texas-specific from a fundraising perspective was an easy decision for a couple of Texas boys. C&I: Wade Bowen, Pat Green, Cory Morrow, Roger Creager, and Lloyd Maines all make appearances on the EP. What was it like working with all of them? And for such an inspiring project? Hutton: The song we all worked on together is one of the most special moments on the record. When we first started fostering, my wife wanted to establish some sort of consistent anchor, some sort of impression we could make on the kids, that might consciously or unconsciously show up for them later in life. She decided that we should sing “Amazing Grace” to each child as the very last thing before putting them to bed, and we’ve done that for the six kids that have come through our home in the last 24 months. So we put it as the last song on the record. My wife is the one female voice you hear, and it was an honor and a blessing to have such distinguished artists and musicians join us on that special song. C&I: Do you have a specific song on the album that you feel most connected to? Hutton: Right now I would say “Cross to Bear.” We have two little girls staying with us — one that’s been with us for almost 20 months, that could be reunited with their birth mother soon. While that’s a beautiful thing, to keep families together, it’s definitely painful. But as the song says, “It’s joy and pain, connected there,” and the only greater pain I could experience than the pain of letting one of these little ones go would be the pain of never knowing them at all. C&I: Can we expect a full album in the near future? Hutton: I think this is a limited edition project. Not prepared to say “once in a lifetime,” but there haven’t been any conversations about a sequel. Just ready to get this message out. The Fosters EP will be available on March 31, but you can preorder and make a donation here.